Attending HostingCon 2017 last week was bittersweet. On the morning of Monday, April 3 – the first day of the conference – a blog post officially announced that HostingCon 2017 would be the last one. I’ve attended every single HostingCon since its inception (with the exception of 2016) twelve of the thirteen shows. I guess that makes me a dinosaur, and somewhat of a fixture at the event. In fact, back in 2014, I was one of the members of the 10 Year Club – someone who attended every one of the ten annual HostingCon conferences. But it’s not a surprise that HostingCon would end one day, since attendance has been dropping in recent years and marquee vendors, like Microsoft, stopped exhibiting. 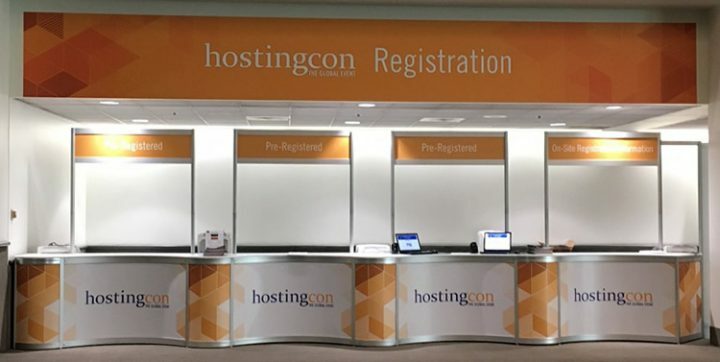 With the increasing pace of change in the hosting industry, consolidation in the hosting market, attendees having to choose between an increasing number of competing hosting conferences both in the USA and internationally, exhibitors and vendors having to choose between an increasing number of different trade shows, and vendors adopting the strategy of hosting their own conferences, all signs were pointing to HostingCon’s demise. Still, I will always have a soft spot for HostingCon. In the early days it was quite exciting seeing all the scrappy hosting entrepreneurs and it was fun getting to know the folks at all of our competitors, as well as those servicing our ecosystem. It was good while it lasted. Rest in peace HostingCon.